I am a Ph.D. student in the Computer Science Department of University of Illinois (UIUC), working with Professor Aditya Parameswaran. I am broadly interested in developing systems that can reduce data analysts’ effort in dealing with large datasets. 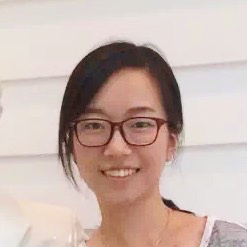 My thesis focuses on extending relational databases with new capabilities to effectively and efficiently support modern data exploration tasks. My primary research projects include a version control system named OrpheusDB, and a browsing and sampling engine named Needletail. I graduated with B.S. in Computer Science and Mathematics from University of Wisconsin, Madison in 2015 (Go Badgers!). Before I came to the U.S., I studied at Nanjing Foreign Language School, China. Query optimization is challenging for any database system, even with a clear understanding of its inner workings. Consider then, query planning for a federation of third-party data sources where little detail is known. This is exactly the challenge of orchestrating data execution and movement faced by Tableau’s cross-database joins feature, where the data of a query originates from two or more data sources. In this paper, we present our work on using machine learning techniques to address one of the most fundamental challenges in federated query optimization: the dynamic designation of a federation engine. Our machine learning model learns the performance and data characteristics of a system by extracting features from query plans. We further extend the ability of our model to manipulate database settings on a per query level. Our experimental results demonstrate that we can achieve a speedup of up to 10.7× compared to an existing federated query optimizer. Exploratory data analysis often involves repeatedly browsing a small sample of records that satisfy certain predicates. We propose a fast query evaluation engine, called NeedleTail, aimed at letting analysts browse a subset of the query result on large datasets as quickly as possible, independent of the overall size of the result. NeedleTail introduces DensityMaps, a lightweight in-memory indexing structure, and a set of efficient and theoretically sound algorithms to quickly locate promising blocks, trading off locality and density. In settings where the samples are used to compute aggregates, we extend techniques from survey sampling to mitigate the bias in our samples. Our experimental results demonstrate that NeedleTail returns results 7× faster on average on HDDs while occupying up to 23× less memory than existing techniques. Data science teams often collaboratively analyze datasets, generating dataset versions at each stage of iterative exploration and analysis. There is a pressing need for a system that can support dataset versioning, enabling such teams to efficiently store, track, and query across dataset versions. While git and svn are highly effective at managing code, they are not capable of managing large unordered structured datasets efficiently, nor do they support analytic (SQL) queries on such datasets. We introduce OrpheusDB, a dataset version control system that “bolts on” versioning capabilities to a traditional relational database system, thereby gaining the analytics capabilities of the database “for free”, while the database itself is unaware of the presence of dataset versions. We develop and evaluate multiple data models for representing versioned data, as well as a light-weight partitioning scheme, Lyresplit, to further optimize the models for reduced query latencies. With Lyresplit, OrpheusDB is on average 103× faster in finding effective (and better) partitionings than competing approaches, while also reducing the latency of version retrieval by up to 20× relative to schemes without partitioning. Lyresplit can be applied in an online fashion as new versions are added, alongside an intelligent migration scheme that reduces migration time by 10× on average. We demonstrate OrpheusDB, a lightweight approach to versioning of relational datasets. 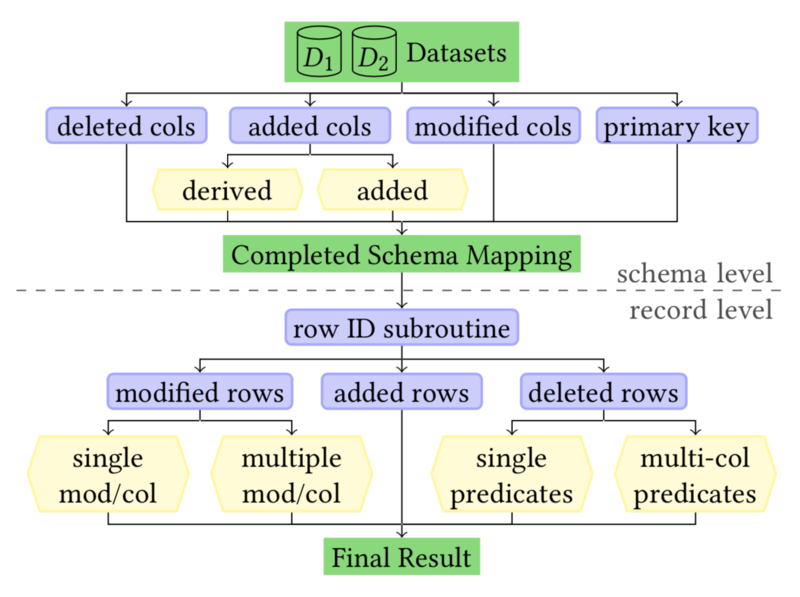 OrpheusDB is built as a thin layer on top of standard relational databases, and therefore inherits much of their benefits while also compactly storing, tracking, and recreating dataset versions on demand. OrpheusDB also supports a range of querying modalities spanning both SQL and git-style version commands. Conference attendees will be able to interact with OrpheusDB via an interactive version browser interface. The demo will highlight underlying design decisions of OrpheusDB, and provide an understanding of how OrpheusDB translates versioning commands into commands understood by a database sys- tem that is unaware of the presence of versions. OrpheusDB has been developed as open-source software; code is available at http://orpheus-db.github.io. 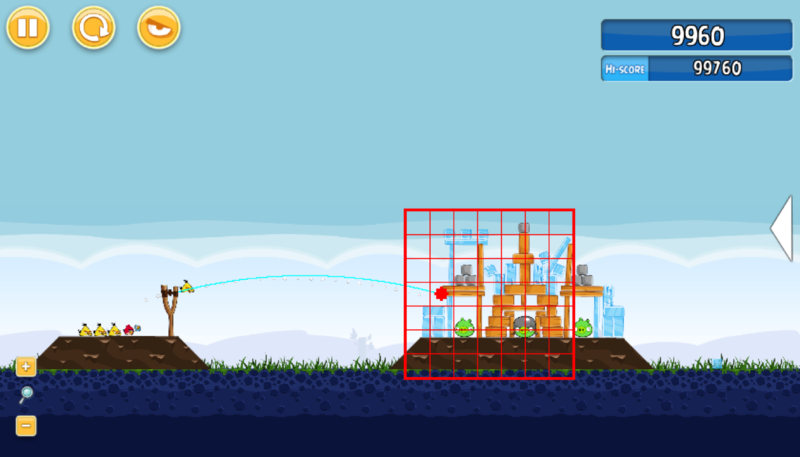 Angry Birds is a popular video game in which players shoot birds at pigs and other objects. Because of complexities in Angry Birds, such as continuously-valued features, sequential decision making, and the inherent randomness of the physics engine, learning to play Angry Birds intelligently presents a difficult challenge for machine learning. We describe how we used the Weighted Majority Algorithm and Naive Bayesian Networks to learn how to judge possible shots. A major goal of ours is to design an approach that learns the general task of playing Angry Birds rather than learning how to play specific levels. A key aspect of our design is that the features provided to the learning algorithms are a function of the local neighborhood of a shot's expected impact point. To judge generality we evaluate the learning algorithms on game levels not seen during training. Our empirical study shows our learning approaches can play statistically significantly better than a baseline system provided by the organizers of the Angry Birds competition.